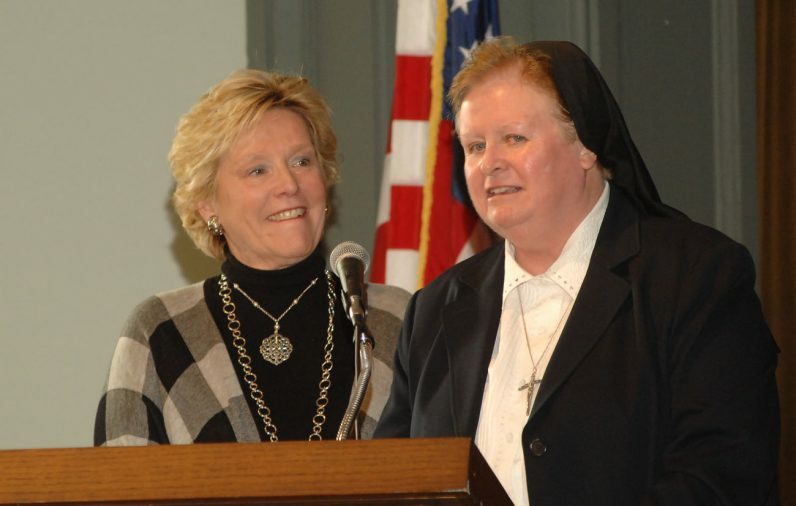 Catholic Relief Services Eastern Regional Director Maureen McCullough, left and Immaculate Heart Sister Maureen McDermott, superintendent of secondary Schools for the archdiocese, speak at the Helping Hands event. 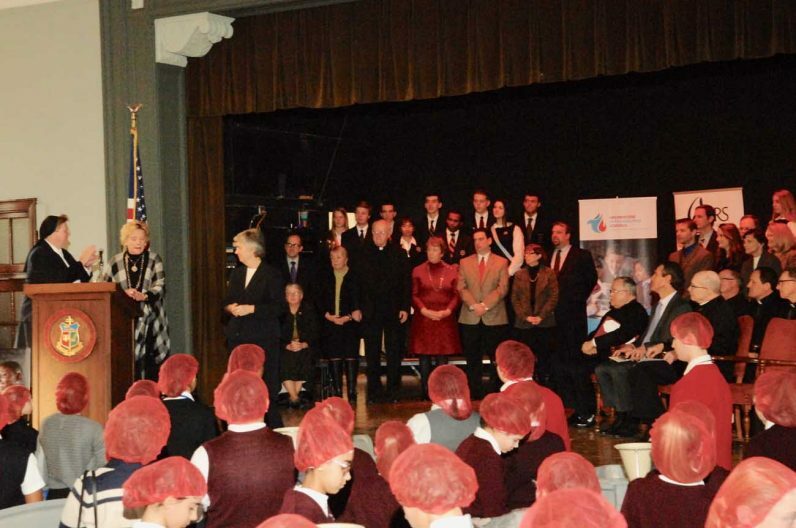 The principals of the 17 archdiocesan high schools, plus Merion Mercy Academy, and student council representatives from the schools attend the event. 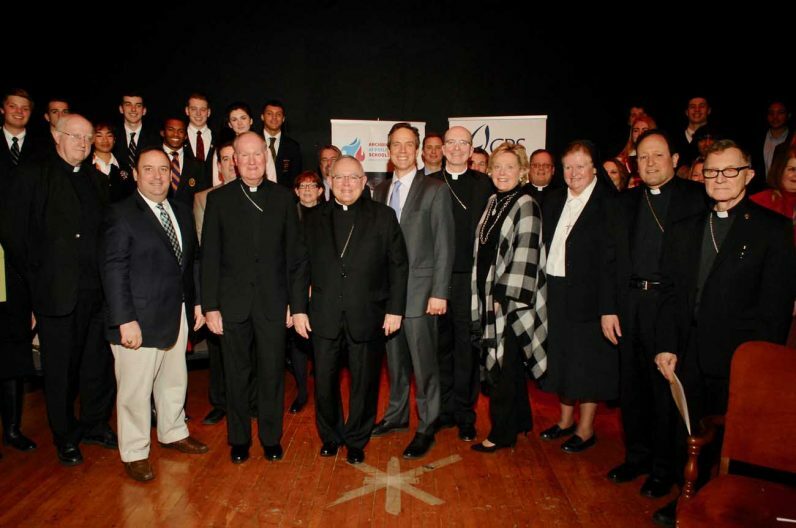 Archbishop Charles Chaput, center, poses with the leaders of Catholic schools and Catholic Relief Services. 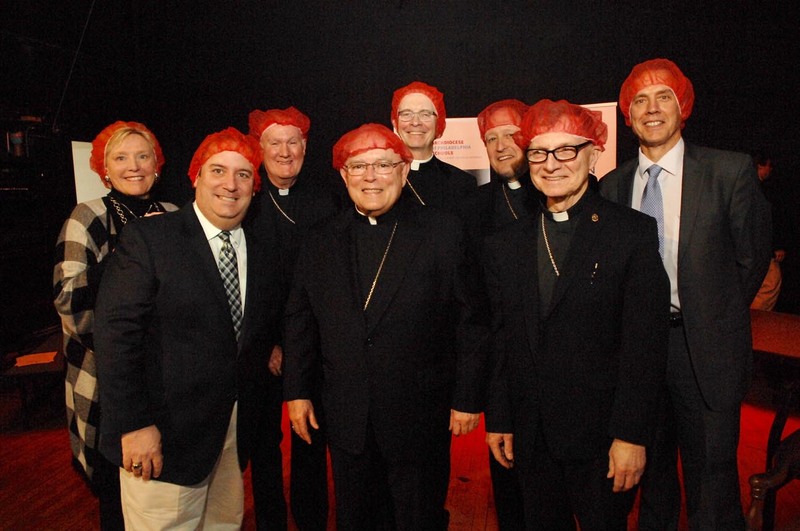 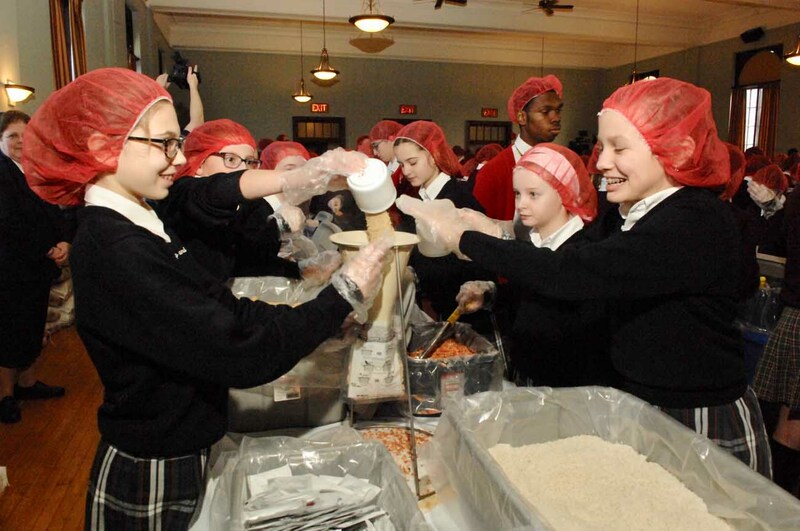 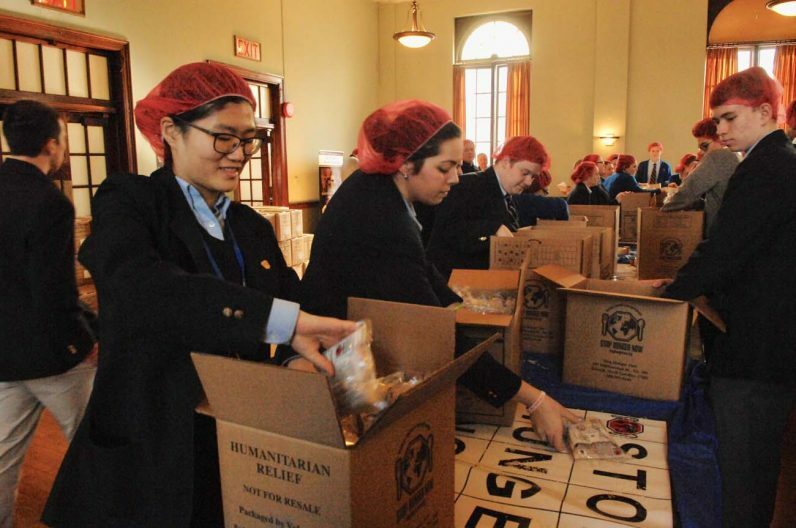 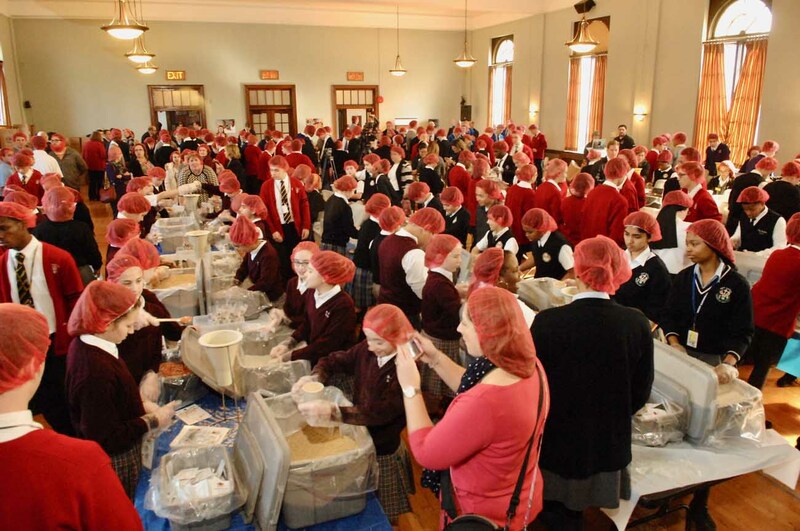 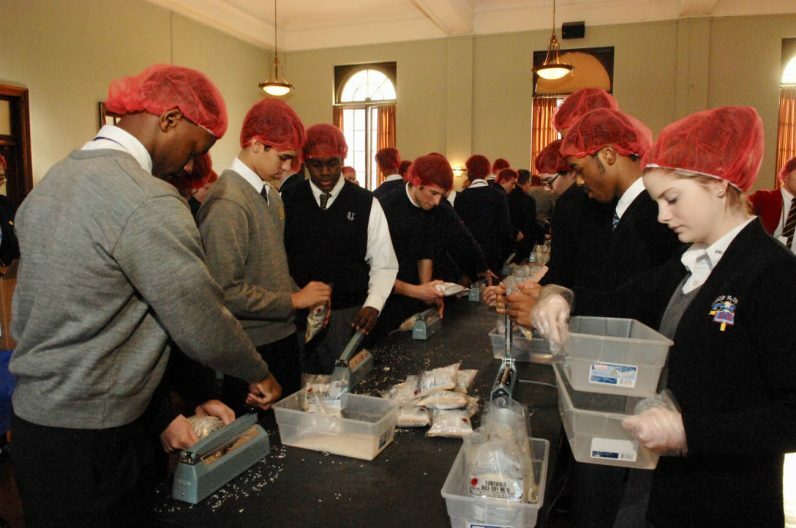 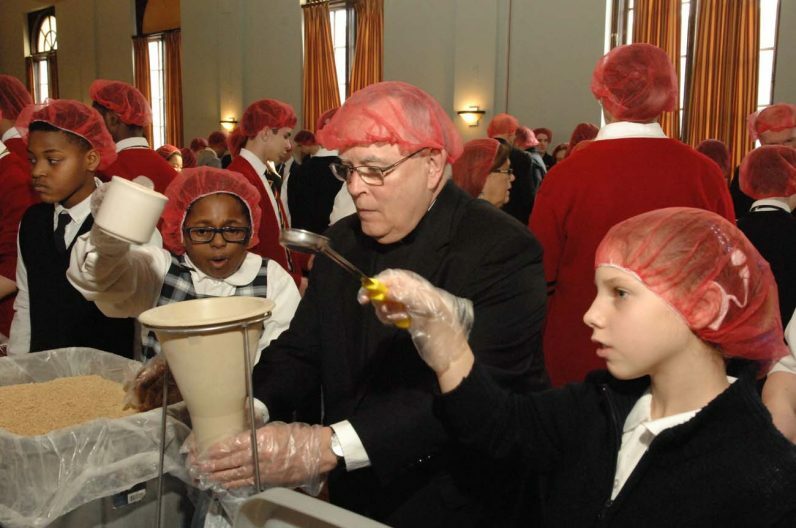 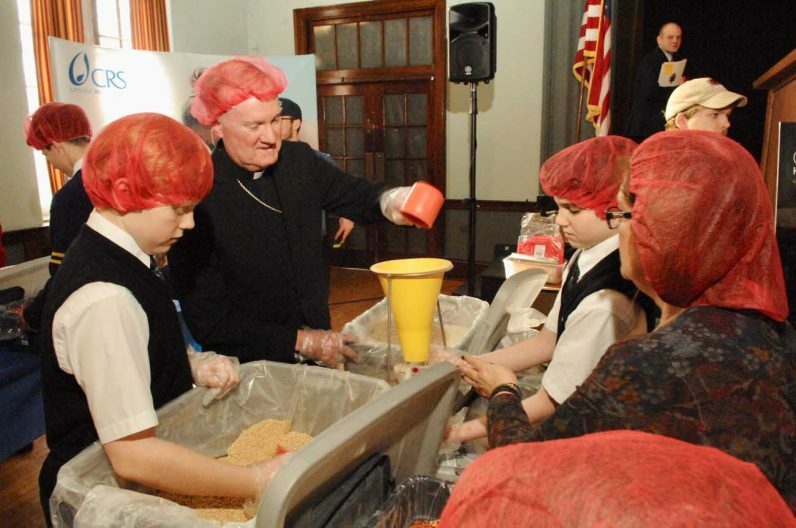 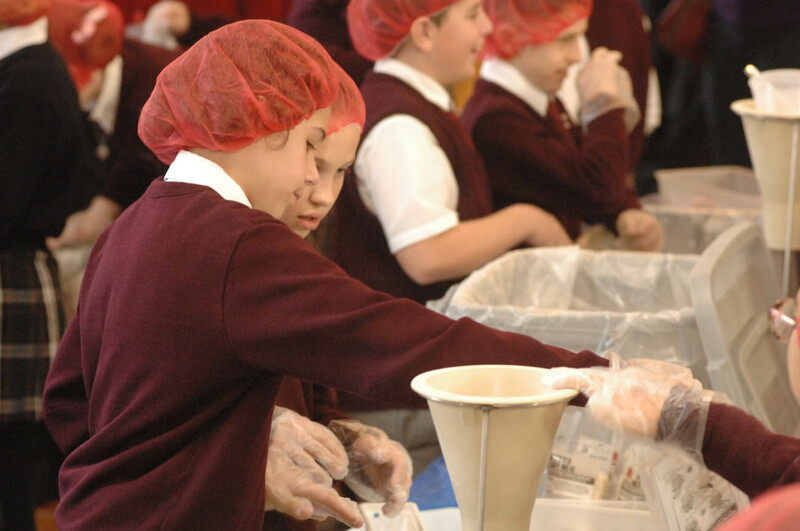 Bishop Michael Fitzgerald helps students package meals for needy people overseas through the schools’ partnership with Catholic Relief Services. 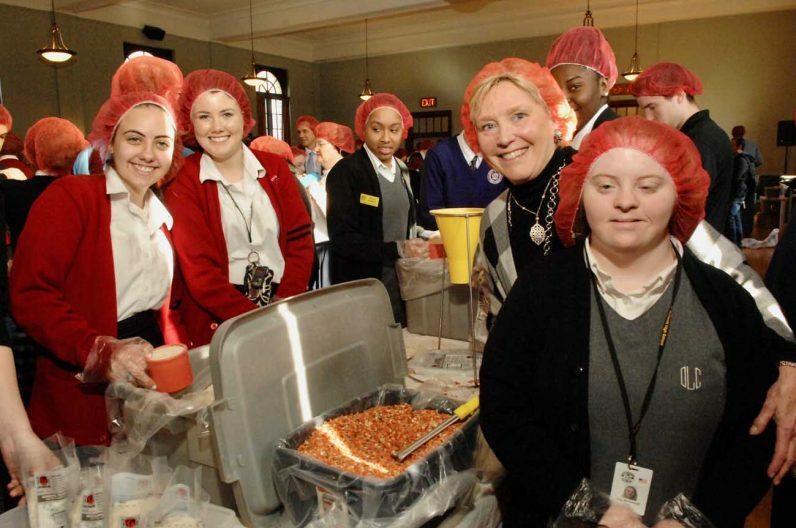 Maureen McCullough helps make meals with Catholic high school and special education students. Bishop Michael Fitzgerald poses with student council leaders from the archdiocesan schools.